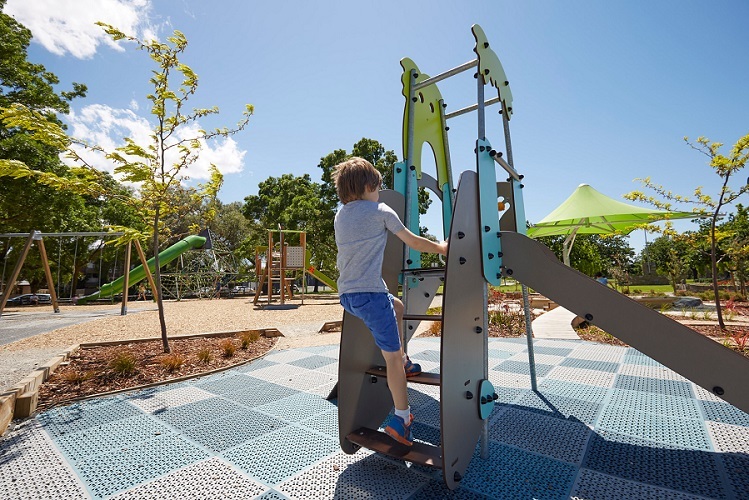 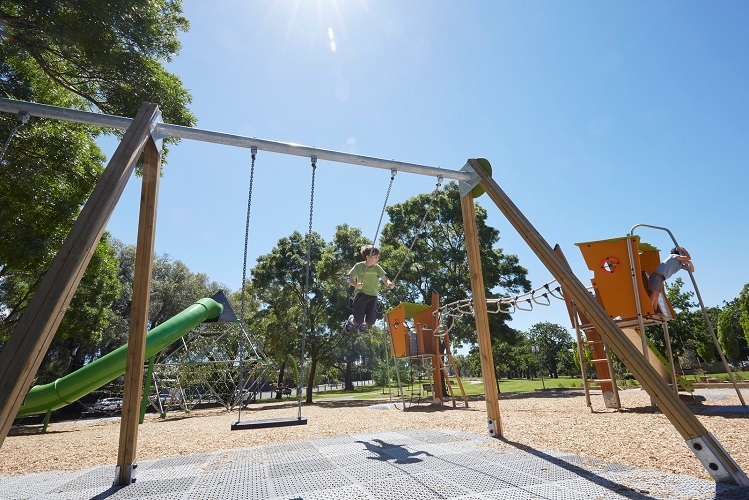 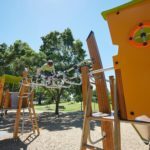 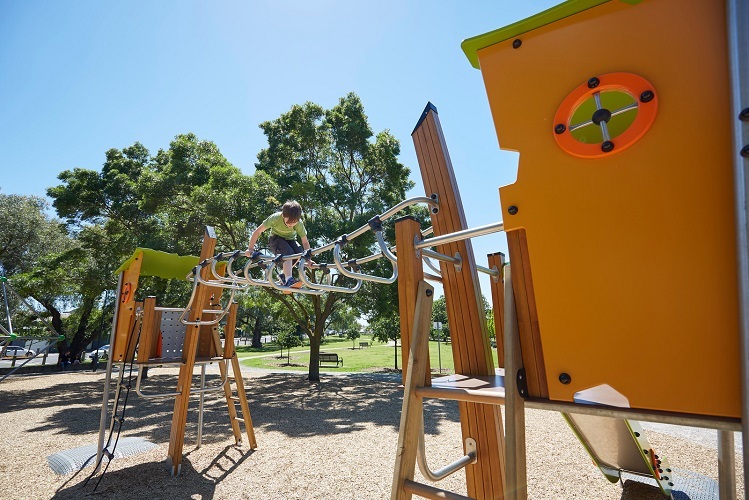 Proludic has provided exciting new play equipment for the playground renewal at Barkly Gardens in Richmond. 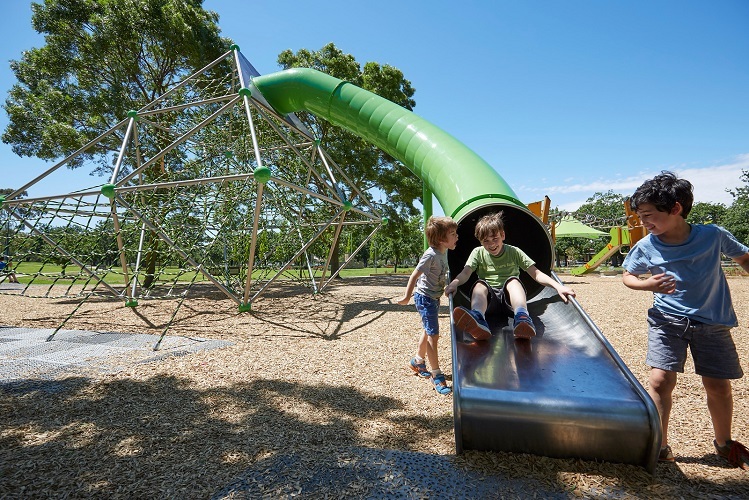 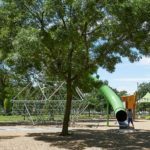 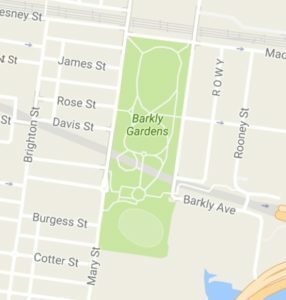 Barkly Gardens is a wonderful place for families to enjoy time together in a beautiful parkland setting. 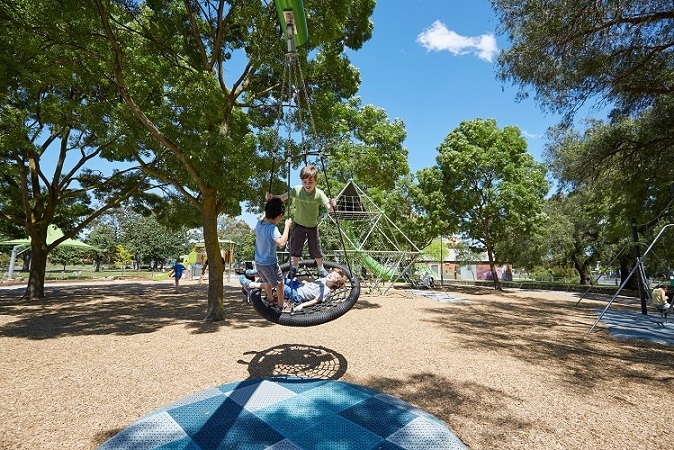 The colours of the play equipment blend in perfectly with the surrounding mature trees. 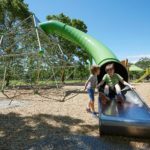 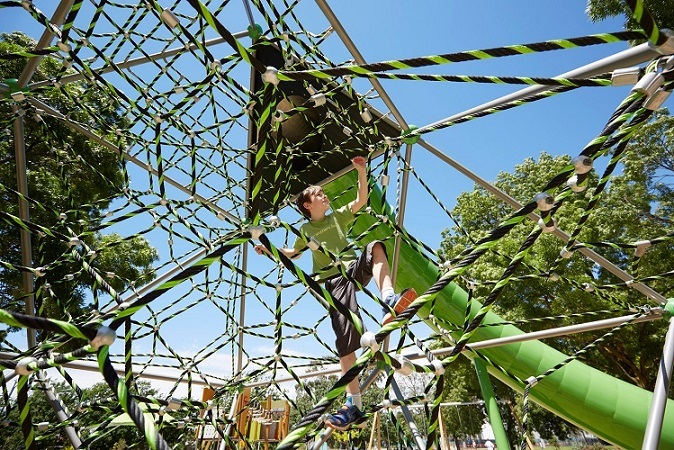 The Giant Frame Net is the ideal place to practice balance and coordination skills and experience the excitement of whizzing down the tube slide. 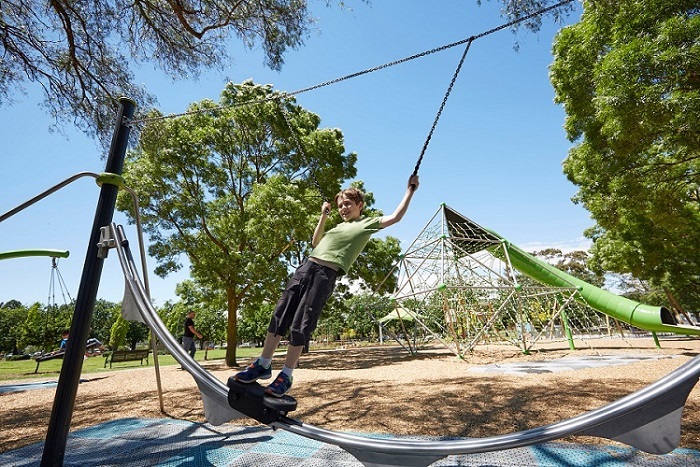 The Kanope Multi Play is the gateway to an imaginary rainforest adventure and a series of natural challenges as you swing and climb across the Acrobranch like a monkey. 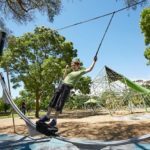 Other equipment for older children includes an Areoskate for thrill-seeking teens. 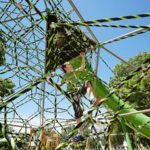 The Forest Tower is the place for younger explorers in search of an adventure whilst developing their motor skills. 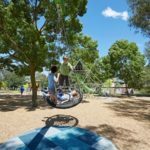 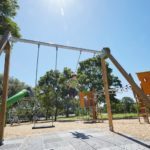 All children can feel the joy of swinging on either the Double Bay Swings or on the giant bird’s nest Cantilever Swing. 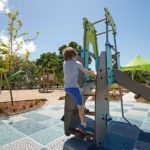 Natural play activities have also been provided for children with a shaded sand play area and log steppers.